It is with a heavy heart I announce the departure of Janice Dru from the Board of The Center for Election Science. Janice has been the Chair of the Board for four years and has been the foundation from which this organization has grown. During her time at CES, the organization has grown from a scrappy group of people eager to take on the insurmountable task of changing the way we vote, to a significant force for change in US politics. Janice’s efforts, skill, and leadership laid the foundation that enabled Fargo, North Dakota to adopt Approval Voting last year, as well as leading several major fundraising drives for the organization. She will be missed from the team. As Janice steps down, I will be taking on the position of Chair of the Board. I joined The Center for Election Science a year ago and have been astounded by its success. I come from a background in Software Engineering management, with a Bachelors in Economics from San Francisco State University. Throughout my career I’ve been trained to think of how the system works—what routes and pathways are necessary to define an algorithm that yields the optimal outcome. Election science combines the mathematics of John Nash’s Game Theory with the significance of economic and political theorists such as Kenneth Arrow and Steven Brams. I’m passionate about the work of The Center for Election Science as it solves the root problem in modern political science. Electing leaders has always been hard, whether it be by who has the largest army, the longest dynasty, or the greatest number of votes. Modern democracy continues to lower the cost and difficulty of rotating leaders, and as such has brought massive economic and social expansion. It’s not enough to stop where we are, though. Democracy is vulnerable to social engineering, false advertising, and demagogues. The founders of the United States recognized those flaws and instituted a system of checks and balances in order to keep American democracy stable. Our movement for better election methods follows in their footsteps to further ensure that our democracy is lead by the best people within our communities. Demagogues manipulate our choose-one voting method to win without meaningful support from voters. The spoiler effect discourages candidates with nuanced or moderate positions from running for fear of ‘splitting the vote’. 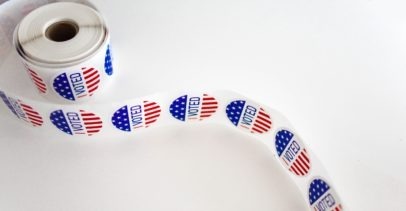 Voting methods like approval and score voting address those issues and offer to bring about a new political norm absent the polarized lens through which we currently view our society. As the new chair for The Center for Election Science I look forward to growing the organization, increasing the number of cities and counties that use better voting methods, and laying the foundation for states to improve. Felix is a Director of Engineering at MediaMath. He’s passionate about enabling effective development internally and externally. He also provided engineering functions at Salesforce and Google. He holds a B.A. degree in Economics from San Francisco State University. In his spare time, he enjoys working on open source civic software with BetaNYC and mentoring for The Product Mentor Group.